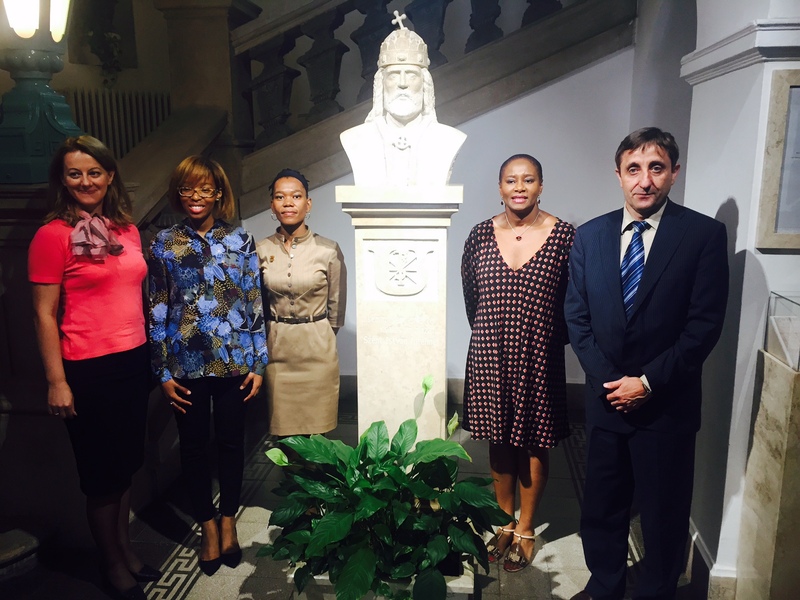 Ms. Nolitha Vukuza, Higher Education and Training Attaché at the South African Embassy in Paris, Ms. Kedibone Ramatsa, First Secretary and Ms. Portia Mngomezulu, Third Secretary from the Embassy of South Africa in Budapest were invited by the Department for Bilateral Relations of the Ministry of Human Capacities for a short visit. 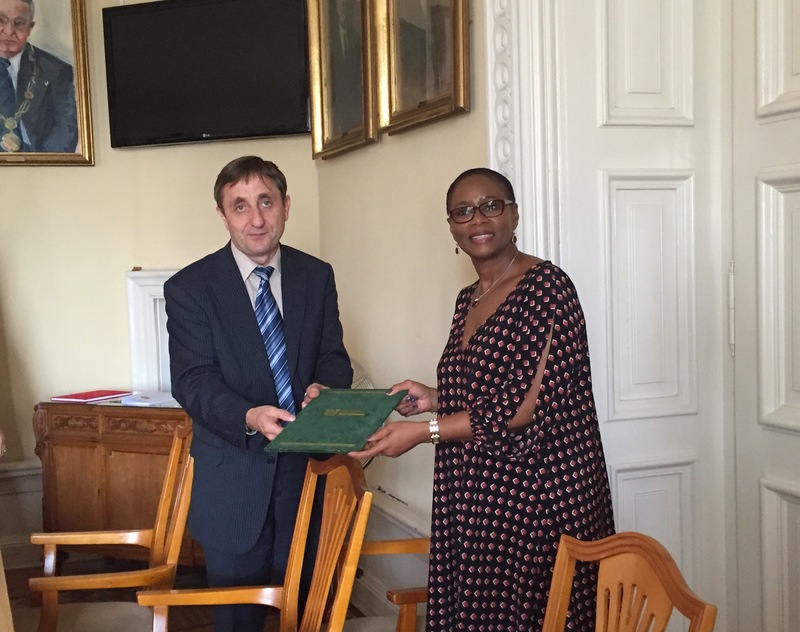 The primary objective of the visit was to survey the educational standards and infrastructure of the Hungarian higher education since the Hungarian government intends to sign a Stipendium Hungaricum scholarship agreement with the Republic of South Africa soon. The delegation was received at Szent István University by Dr. István Szabó, Director for International Relations and Dr. Zsuzsanna Tarr, Head of International Relations Office. Following the introduction of the university, Ms. Nolitha Vukuza accepted our request to give a guest lecture titled South African Higher Education Post-Apartheid within the framework of Science and Society - Global Issues of the 21st Century, a recently launched subject for our international students.